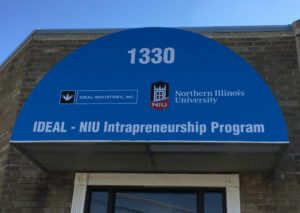 The inaugural year of the IDEAL-NIU Intrapreneurship Program—designed to give students real-world experience bringing new products to market—has been a “huge success,” with nine students earning paid internships this semester with the Sycamore-based IDEAL Industries Inc.
Now a new round of students who will be sophomores, juniors and seniors next fall can apply to be selected for the first phase of the program. Interested students in engineering, business, kinesiology, design, public policy, communication, the sciences and more are encouraged to submit an application by Feb. 27. Students who are accepted into the program will play a role in researching markets, developing IDEAL products and building business plans. Program participants who are successful in that first phase will then have a shot at paid internships–and even possible job offers from IDEAL upon graduation. Interested students are invited to attend a presentation on the intrapreneurship program from 5 to 7 p.m. Thursday, Feb. 16, in room 354 of the Engineering Building. 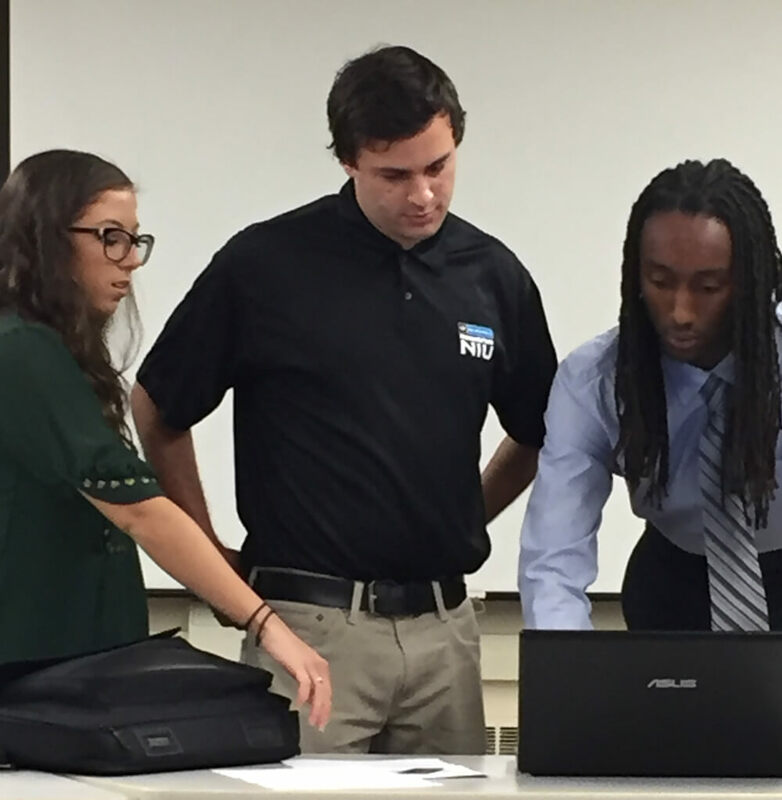 NIU students (left to right) Victoria Ewert, Dennis Grekousis and Malik Hughes work on their IDEAL project. “It’s been a really good experience,” says Malik Hughes, a junior industrial management and technology major from Bolingbrook. Hughes was accepted into the program a year ago and earned an internship with IDEAL beginning this semester and lasting through the summer. Based in Sycamore, the family-owned IDEAL Industries Inc. has been in operation for a century and boasts facilities and clients across the globe. The company manufactures more than 6,000 products used in automotive, construction, aerospace, electrical, data-communication, wire-processing, alternative-energy and other industries. In late 2015, IDEAL Chairman and CEO Jim James first shared his idea for the intrapreneurship program with NIU President Doug Baker. Within months, the program had launched. Here’s how the program worked this past year. 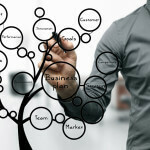 Applicants were screened by the Intrapreneurship Partnership Advisory Board, which also conducted follow-up interviews. Students selected for the program were offered positions on one of the two teams, each working to develop product ideas provided by IDEAL. After working together for more than a semester, the teams each made their presentations to IDEAL executives in December. IDEAL representatives decided that both teams had demonstrated enough progress to be given the opportunity to continue. So the nine NIU students on those teams were offered paid internships. 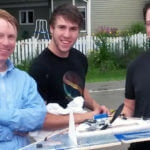 Now they are refining their products and business plans, moving toward full commercialization. 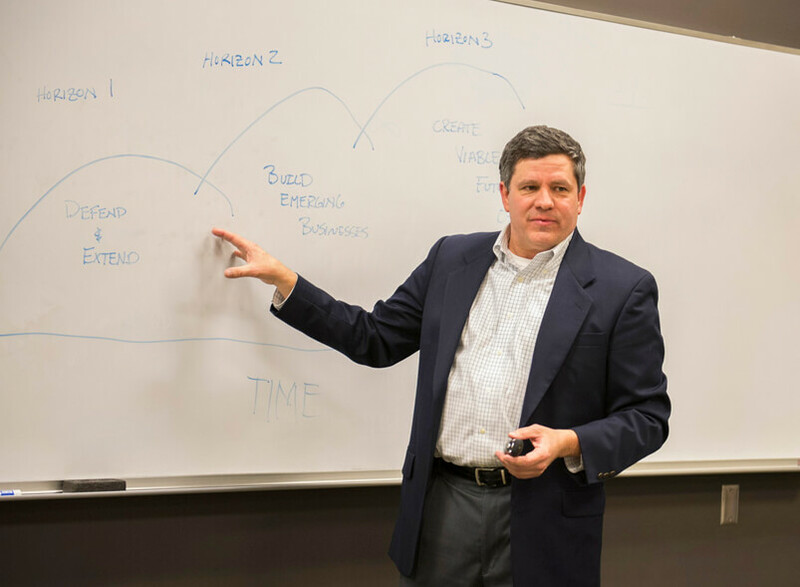 Bart Sharp, the Mike and Kristina McGrath Professor of Entrepreneurship in NIU’s Department of Management, says the program broadens students horizons and provides a potentially rewarding career path. “From my perspective, it has been a huge success for the students, the university and IDEAL,” says Sharp, who serves on the Intrapreneurship Partnership Advisory Board. “The teams will have the highest probability of success if they encompass students with affinity for each of those subjects,” he says. Senior communication studies major Mercedes Ruiz of Chicago was accepted into the intrapreneurship program a year ago and recently earned an IDEAL internship. She says she felt a little intimidated at first when she found herself working on a team with OMIS, finance and engineering majors. “But IDEAL is good at choosing the right candidates, and I feel like I have contributed a lot,” Ruiz says. It was helpful, for example, having a communication major on the team to help polish the final successful presentation. Ruiz encourages other students to apply for the program and work toward an internship. There’s a substantial time commitment, but the potential payoff is big, she says. For more information, email ideal@niu.edu or apply today.